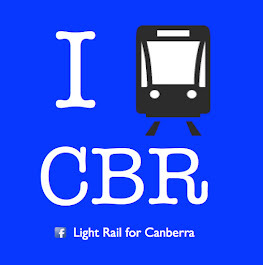 ACT Light Rail: ACT Government endorse Capital Metro business case - it will be built! ACT Government endorse Capital Metro business case - it will be built! Today over 250 industry representatives attended the Capital Metro Industry Briefing, where MLA Simon Corbell, Minister for the Capital Metro Agency, announced that cabinet had approved the Capital Metro business case, and that the light rail project would proceed. It was widely expected news, and provides a major boost to Canberra's public transport sector, and construction and property sectors. The estimated cost of the project is $610 million with a $173 million contingency, a total cost of $783 million. The government have decided to use a Public Private Partnership to build and operate the light rail system, and will call for Expressions of Interest on 31 Oct 2014. The full Capital Metro business case will be released to the public, and prospective PPP partners. The approach taken for construction and operation will be a bundled PPP, with a 20 year concession. There will be no ACT Government financial contribution during the construction phase, although they reserve the right to make a financial contribution following that, to reduce debt for example. The project will be paid for through the value uplift associated with Transit Oriented Development, recycling of assets (such as the sale of ACT TAB and the sale of surface car parks) and transport related efficiencies. ACTION and Capital Metro will share integrated ticketing, with tap on/off machines located on the light rail stops, not in the vehicles. Wire free light rail vehicles could be used, Capital Metro are not mandating catenary wires, it will be up to the tenderers. The day was well attended and there was a very positive vibe in the room from industry attendees. Several very good questions were asked by the audience to the panel regarding aspects of the proposed system. More details will be available online shortly and this post will be updated at that time. The Canberra Times have covered the announcement here. And as night follows day, the parliamentary wing of the Canberra Liberals oppose Capital Metro. Win Canberra cover the news with a good look at the Mr Fluffy budgetary impact.